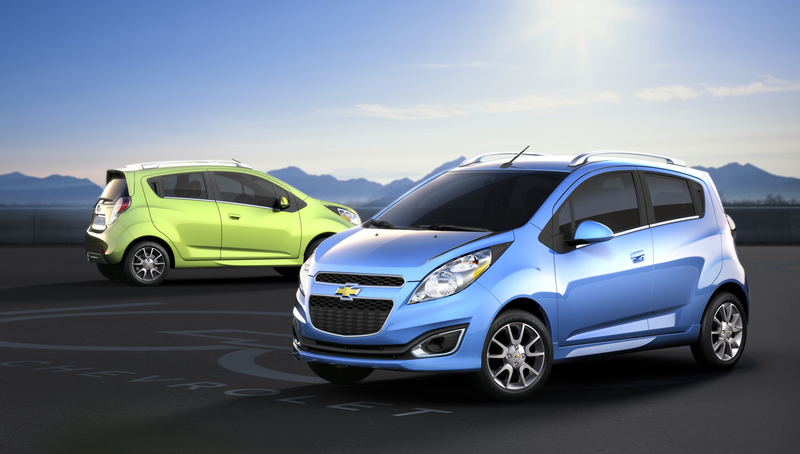 Chevrolet is taking the guesswork out of the car-buying process with a new, simpler approach to pricing and packaging for the 2013 Spark. When the mini car goes on sale later this year, Spark will be available in three well-equipped trim levels starting at $12,995 including destination. 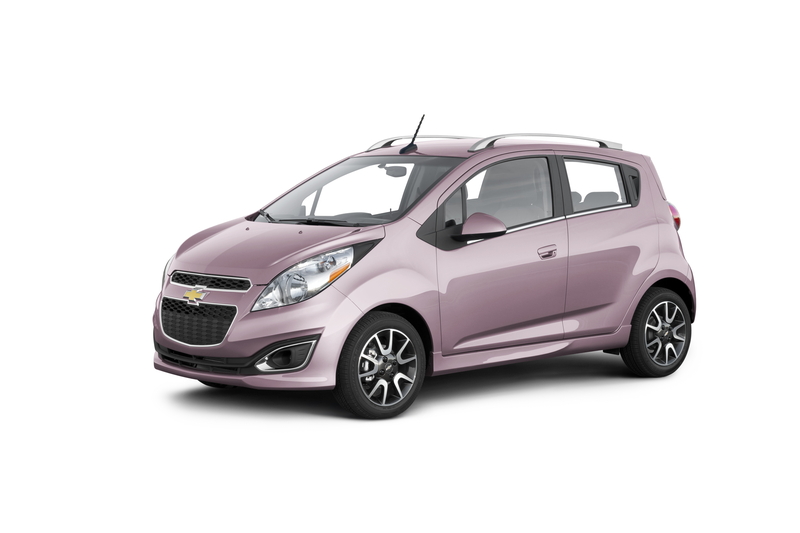 Spark is a sporty, fuel-efficient, four-passenger, five-door hatch designed to excite first-time car buyers and city dwellers with bold styling, attention-grabbing colors – including Salsa, Jalapeno, Denim, Lemonade and Techno Pink – engaging driving dynamics, the personalized connectivity of MyLink, and the safety of 10 standard air bags. 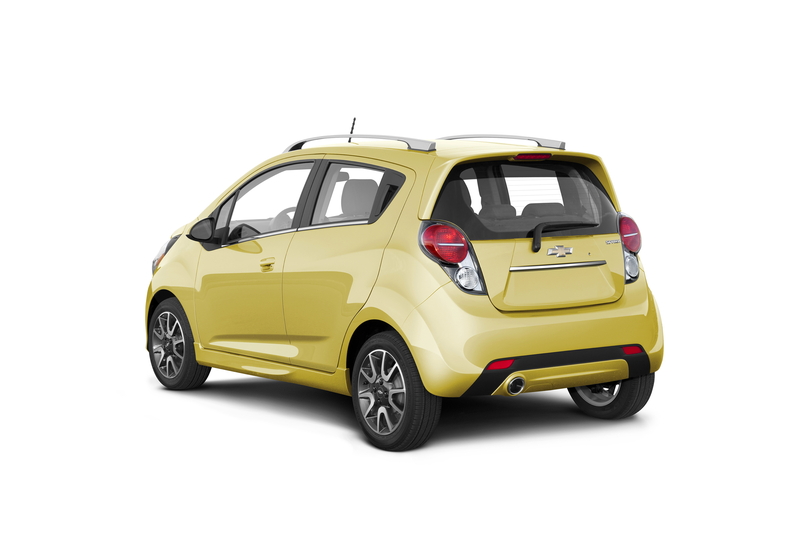 Spark also offers more passenger and cargo room than other mini cars such as the Fiat 500, Smartfortwo and Scion IQ. A 4-speed automatic transmission is available on all models for $925. The only other available options include an engine block heater for $75 and Black Granite paint for $195. 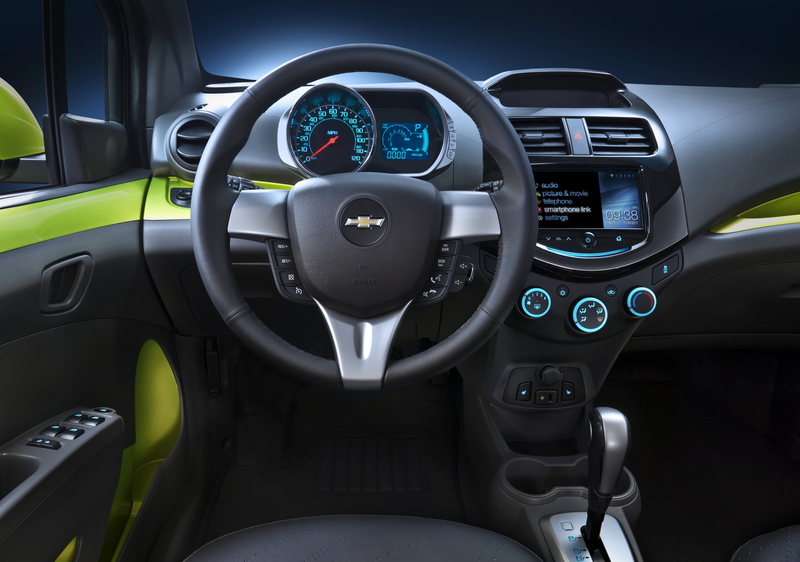 Chevrolet MyLink in the Spark will include Pandora internet radio and Stitcher Smart Radio apps. Later in the model year, the recently introduced GogoLink – an embedded smartphone application that delivers full-function navigation including live traffic updates – will be available. Pricing for GogoLink will be announced later. 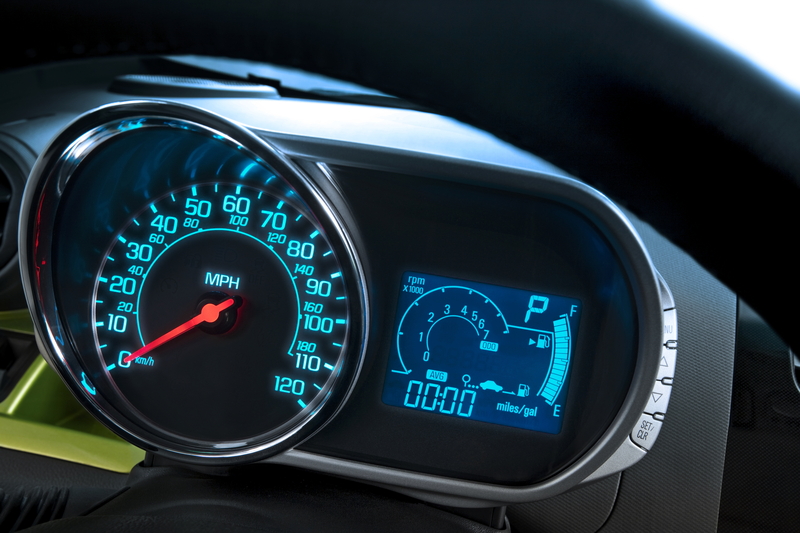 Spark is the only car in its segment to provide the added value of a five-year, 100,000-mile powertrain warranty and the safety and security of OnStar.